Exclusive! Our Embroidered Tiered Maxi Dress has details galore! 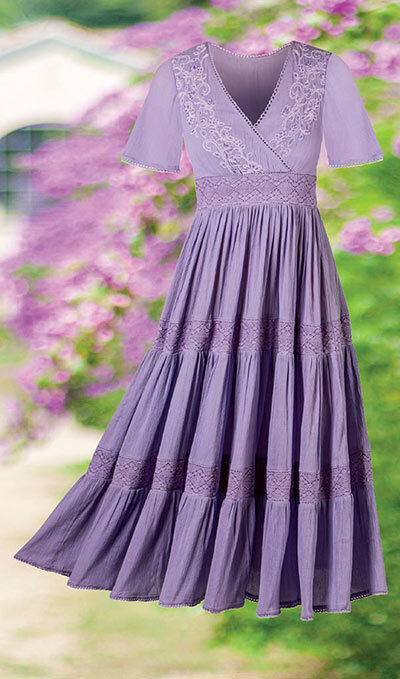 Woven cotton crepe maxi is bedecked with delicate crocheted trim at the neckline, arms and sweep. 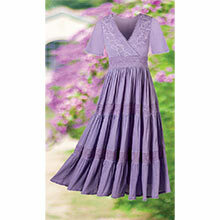 Smocked elastic waist and crossover bodice with floral embroidery. Full, gathered skirt includes crocheted lace inserts. Pullover styling. Machine wash. Imported. Misses, approx. 52"l.